There's just no getting around it: Floor mats are a necessity for vehicles. The typical dirt and grime collected from walking around normally can damage your interior. But Jeep drivers don't walk in typical areas. They get a bit messier, and so do their shoes - which means more potential damage. 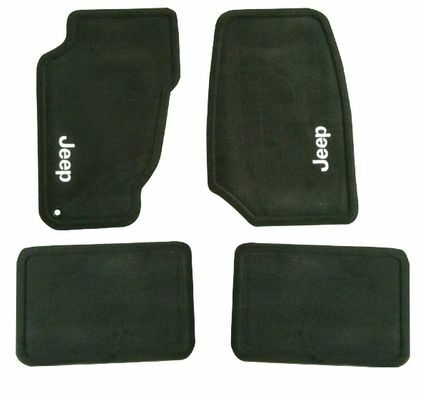 Keep your floors safe from wear and tear with these Jeep Grand Cherokee carpet floor mats. 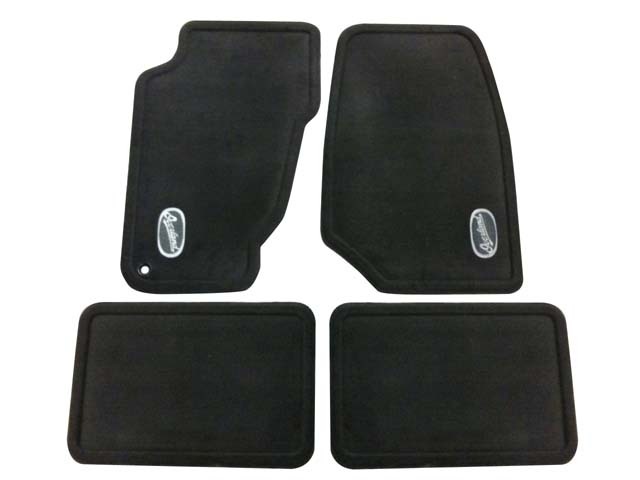 Crafted to fit your 1999-2004 Grand Cherokee perfectly, these front floor mats feature a nibbed rubber backing, ensuring they don't slip around while driving or boarding. 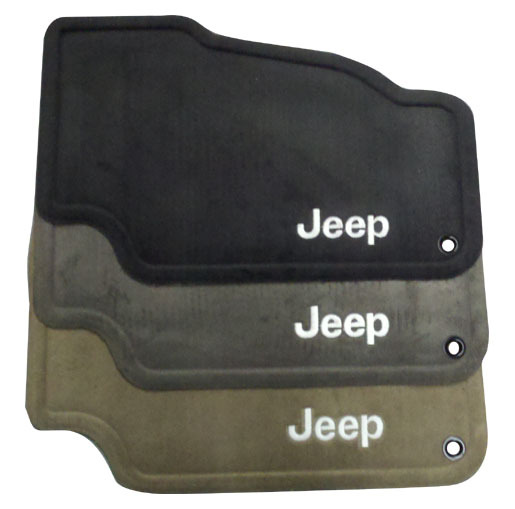 Available in three custom colors and bold Jeep logo, they are made by Mopar, which means these are the same floor mats that come with Jeeps fresh from the showroom floor. At Just for Jeeps, we offer discounts far below that showroom price, however. We also offer great deals on shipping. With Just for Jeeps, you'll be able to keep your Grand Cherokee looking grand for less. Complete set of four, same as production. Great floor mats. Better than had expected and cheaper than oem. The fit was okay with the driver's side grommet in the correct place. The JEEP stitching is high quality. My only regret is that the slate color is a darker gray than the floor carpeting. Would have preferred black for contrast but it was not offered. If you are starting with no mats or heavily worn, these will be a good upgrade. 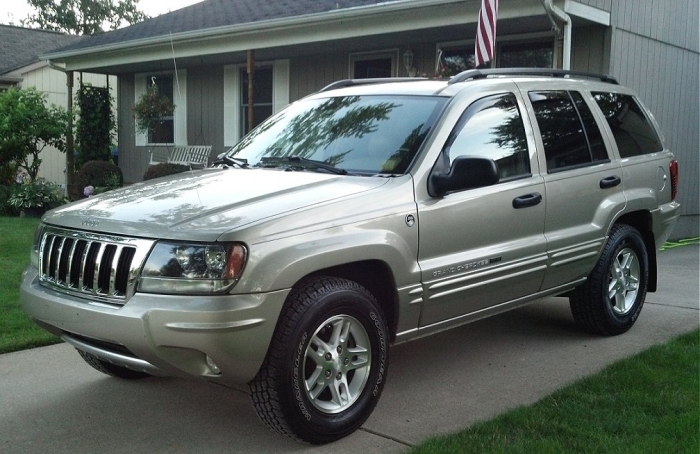 For 1999 Grand Cherokee Laredo, driver's side front fits like a glove. The others all fit but are small compared to factory originals, particularly passenger front. Pleased as I had none after originals gave out. Would've measured more carefully if I could do over again. Exactly what I needed and expected! These are great! They add the finishing touch to your interior. ProsMopar mats that perfectly match your carpet and they are molded to fit in the right place. A quality JEEP product that tops off the look of your Jeep. ProsBeautiful Stitching of the JEEP logo on the mats is AWESOME looking. ConsNone. They are so beautiful, I'm afraid to get them dirty.